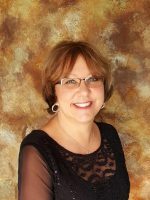 Karen Dragon-Hurst has been in the real estate business for 28+ years and has been a top producing agent for many of them years. She enjoys helping people with their real estate needs and watching their dreams come true with buying a new home. Karen is a life time Ashtabula County Ohio resident. She grew up in Saybrook and now resides in Austinburg. She loves spending time with her family. Karen has two married children and four grandchildren. She enjoys the art of music and loves to dance.